To optimize landing page implies addressing each element on the landing page to increase conversions. It involves making adaptive changes with time, consumer demands and material supplies. A story or short reference to past incidence can turn heads to the page and bring the laurels back to the website. Landing page optimization doesn’t work like Thanos’ finger snap. That’s why marketers get frustrated and give up, but giving up is not good! Right? It’s not a great deal if the landing pages fail to convert. The simple reason behind is a misunderstanding of what the consumer wants and what is being delivered. If the understanding gap is beyond travel, the visitor rates will drop, and conversion rates will suffer. This is where you need custom web development services. The best landing pages convert at rates of up to 27.4 percent, but it’s an ideal number still a rate faster than birds hatch their eggs. When it comes to landing pages, the success lies on improvement. If the conversion rates are stagnant, it implies that the collection of data has stopped. An expert, custom web development company, can help you with the optimization of your landing page. This will ensure that you continue to realize the potential offered by the digital space. 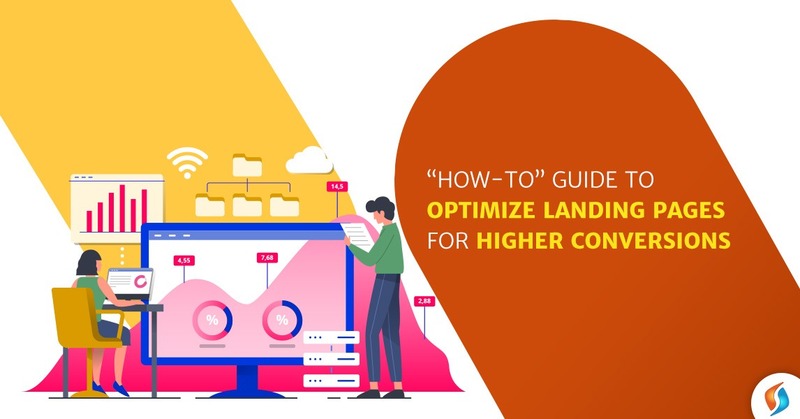 There have been several marketers who have followed unhelpful landing page optimization strategies, and if they came to know something wasn’t working, they changed everything. Thus, identification of the problems bothering your high conversion rates is critical. A heat map can show the regions of maximum and minimum activity on the same page using blue and orange color bands. Whether they are ignoring your call to action or they are focusing on an unimportant element, you can get in touch with any custom web development company or any consulting firm providing custom web development services for tracking the heat map. Smartness is always shown in making the consumer believe that what they are about to buy will not be owned by anyone else, the price factor follows later on. While planning, remember the consumer must feel he is buying an excellent product and feel confident and proud about it. The simple landing page might not be acceptable by mass at times. The world wants niche and exquisite designs in soap boxes; but if the website holds important link and material, the buyer will act quickly as per the need. The best landing pages have great use of contrast, but in color and clarity. A human eye is always receptive to attractive and vibrant colors. The correct combination might open up the lock to the safe! Companies like GoDaddy, always suggest the use of vibrant colors for your custom web development. To point out, a call-to-action button shouldn’t confuse the buyer on what to select and where to go for the next step. The words should be crisp and decipherable. To enumerate, if the website has the contact no, the e-mail address of respected clientele, it adds more trust from the customer’s side on the uniqueness and originality of the page. Specifically, the first fold of any website holds all the drool-worthy offers and special day-to-day offers which can’t be missed by any eye visiting the landing page. The term “above the fold” relates to the newspaper where most essential affairs and the bites were covered on the first page above the traditional newspaper. We can do the same thing by keeping hyperlinks above the digital fold. This is more difficult than ever now with mobile app development. As today more people are using smartphones and tablets. But able website development companies can manage to reach the sweet spot using a scroll map to quickly identify the location of the average fold on different devices and still keep your headline. To put it differently, Quotes, statements, witty-remarks catch the attention. Its 21st century where images hold a greater responsibility than lawmakers, but yes copywriters do exist, and they help to reach the target audience. It is because a customer, who is watching the visual improvement on the site and consecutive offers to lure, will like the changes and suggest other users try the site. Social media validation is the thing right now. As people want to know what other businesses have used the products and services. Not only that, but communication can yield fantastic results. A satisfied customer remark or statement can earn the trust of a new customer who is skeptical about taking the next step. Landing pages are resulting from a genuine search result. It may/may not have any connection with the search at all. But if the landing page holds the appropriate amount of information, it can earn you a visitor. In fact, employing efficient digital marketing services, you can also rank for industry-related keywords employed by website development companies. A form should be adapted as per the need, and not everyone should receive the same form as our CV is different and adapted as per the company demands. A short form might not fetch a lot number of buyers, but those who have an interest will read it, and the leads obtained from them will be genuine. At times when the consumer tries to leave the site, the dialogue box appears prompting whether he wants to leave or continue. That’s a moment of re-bonding as you can put another point of information there. So, are you looking to optimize your landing page for better conversion? Then your search ends with Signity Solutions. We are a leading custom web development company based in India. And with our expertise, we have been helping our clients maximize their conversion results. We would love to partner you with your landing page optimization requirements. So contact our team of IT outsourcing services today.